This story oiriginally appeared in Berlin Art Link. The Dallas Art Fair will run this year from April 11–14th at the Fashion Industry Gallery. 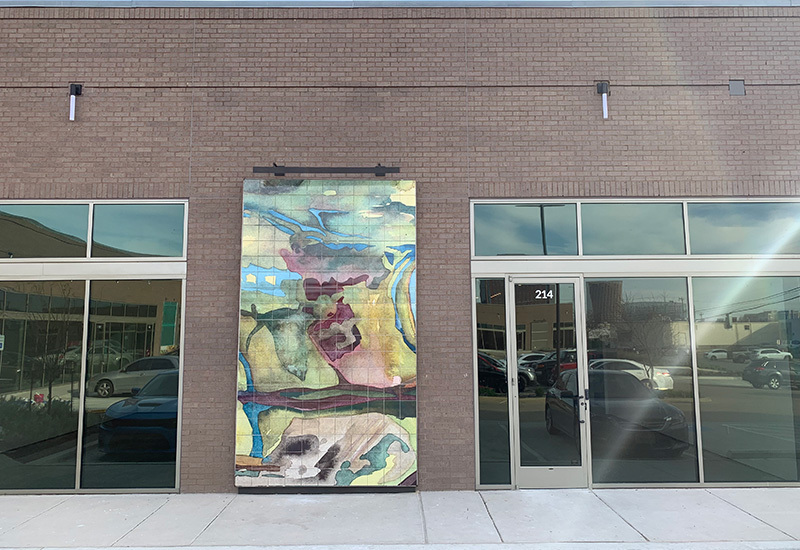 In the heart of the downtown arts district, the Dallas Art Fair presents an exciting roster of national and international galleries for its 11th edition this year. In addition to the 2019 fair, they have also launched the permanent exhibition and project space, 214 Projects. With the 2500-square foot space located at River Bend, Dallas Art Fair takes an innovative approach that provides their fair exhibitors with the opportunity to produce shows that go beyond the duration of the fair. The outside of the space is marked by thirteen murals, a site-specific installation by Clare Woods. The British sculptor-turned-painter was selected from an open call to fair exhibitors. Her paintings are an exploration of the physical form via the materiality of paint. The first gallery invited to stage an exhibition at 214 Projects is Harlan Levey Projects of Brussels, Belgium, with works by Emmanuel Van der Auwera. ‘White Noise’ is Emmanuel Van der Auwera’s first solo show in the United States. His practice explores the aesthetics of mass media, revealing technology as a continuation of painting. Through various media—including filmmaking, video sculpture, theatre and printmaking—Van der Auwera invokes questions of common visual literacy: in what way do images of contemporary mass media target their different publics? How do they function and what do they bring about? In researching how images are mastered, he questions new paradigms for reading or understanding them, as well as our relationship to them. On April 10th, 214 Projects will host Icelandic visual artist and musician Egill Sæbjörnsson‘s performance with his fictional entities Ugh and Boogar as part of this year’s arts festival Soluna. At the 57th Venice Biennale in the summer of 2017, the trolls first appeared, claiming to have met the artist in 2008. Instead of eating him, they took over the pavilion. Without respecting the exhibition’s boundaries, the 36-metre, human-eating trolls took over the city. As a mixed media project, Ugh and Boogar straddle between fiction and nonfictions, reality and imagination. For the festival the trolls Ugh and Boogar will interfere with classical musicians.